Background : The purpose of this study is to investigate whether or not radio-guided surgery has any beneficial effects on completion thyroidectomy (CT) and the associated complication rates. 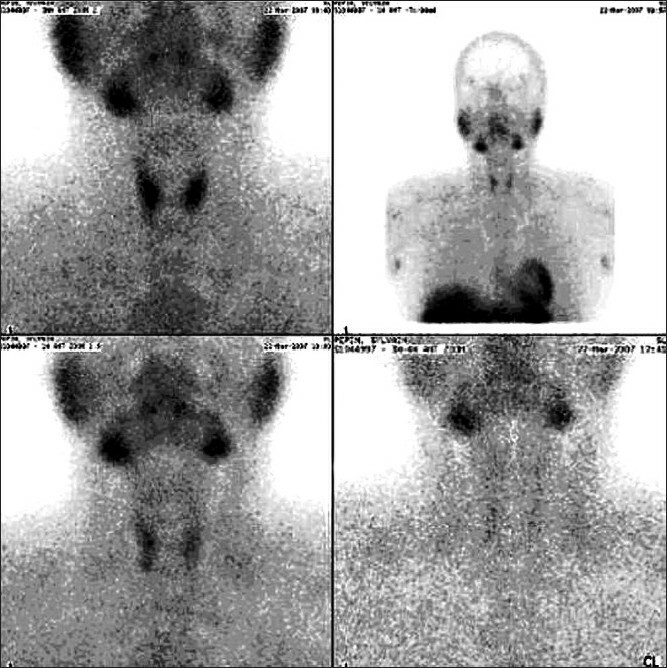 Patients and Methods: Twenty-seven patients were scheduled for CT, for thyroid carcinoma, from December 2004 to June 2005, and were included in the study. All the patients had had initial thyroid surgery in other centers and been referred to our clinic for CT. Operation findings and the effectiveness of Tc-99m radio-guided CT were analyzed. Results: The intraoperative mean ratio of thyroid activity to background activity counted with a gamma probe was 1.3 ± 0.3. Average operation timing was 74 ± 9 minutes. 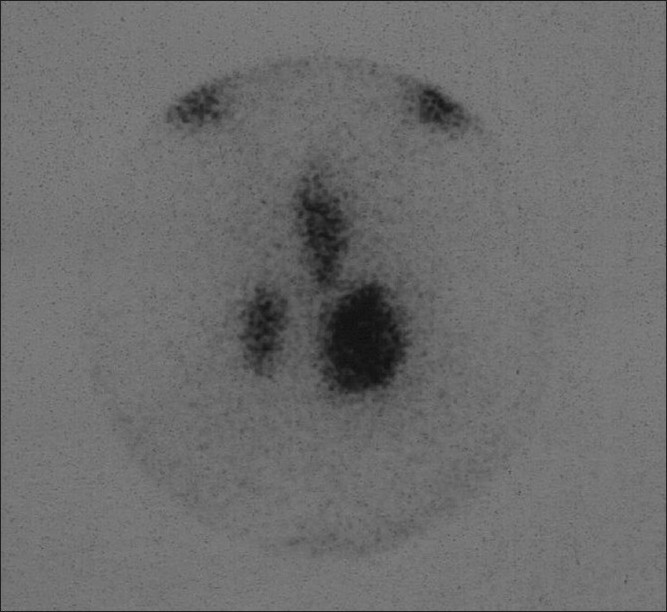 Postoperatively, no residual tissue was detected in any of the patients with ultrasonography and thyroid scintigraphy. 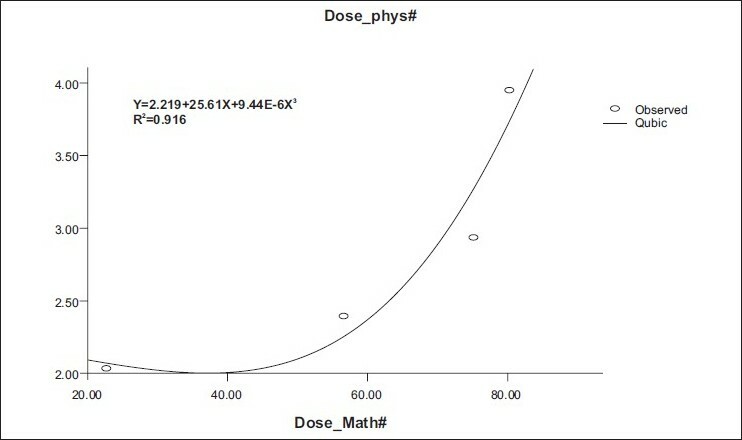 In the first postoperative month, serum TSH level was 61 ± 16.4 mIU / L, when preoperatively it was 7.3 ± 3.1 mIU / L (P < 0.001). 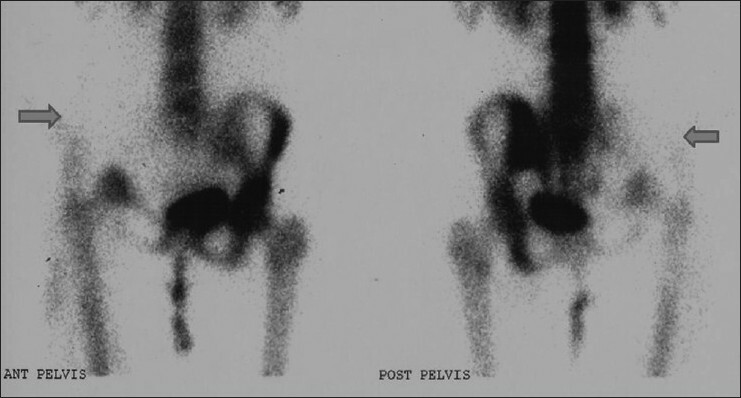 In the postoperative period, one patient experienced temporary hypoparathyroidism (3.9%). Permanent hypoparathyroidism or recurrent laryngeal nerve damage was not detected in any patient. Conclusion: Tc-99 radio-guided CT is a reliable surgical method, which provides the detection and removal of residual thyroid tissues with minimal complications. Caffey's disease is not a common clinical occurrence; it often poses problems in diagnosis due to its close resemblance to osteomyelitis. 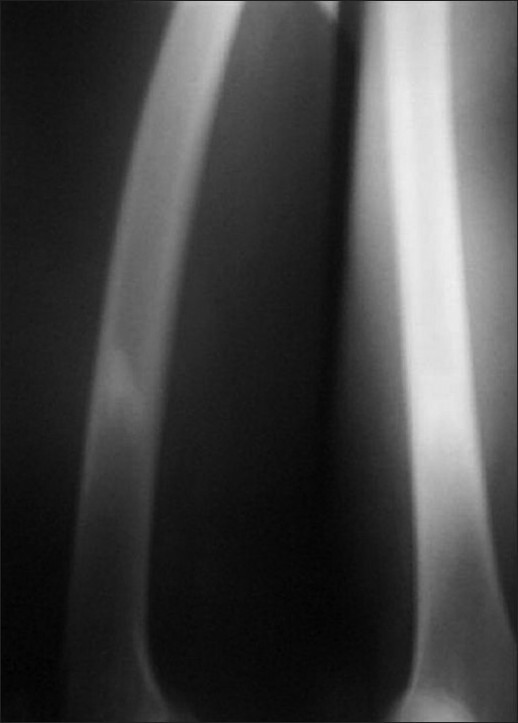 Initial plain radiographic diagnosis is sometimes fraught with the limitation of not being able to differentiate it from chronic osteomyelitis. 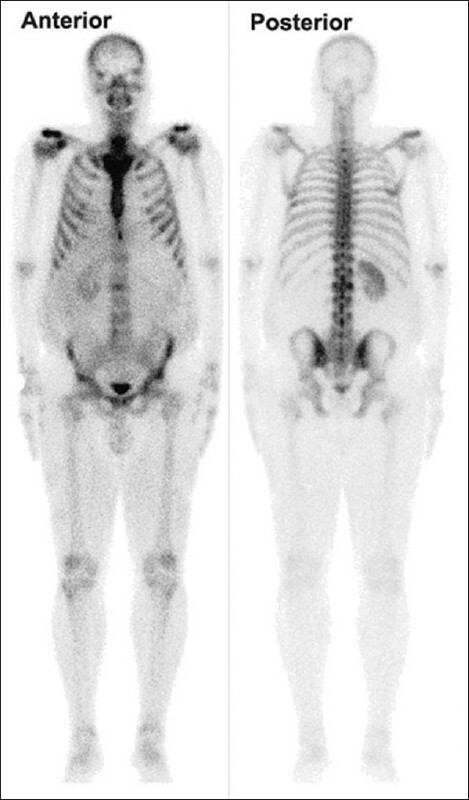 Skeletal scintigraphy is sensitive in localizing the disease activity to the radiological features of the affected regions and the characteristic location of the lesions helps make the diagnosis without resorting to biopsy and further workup. 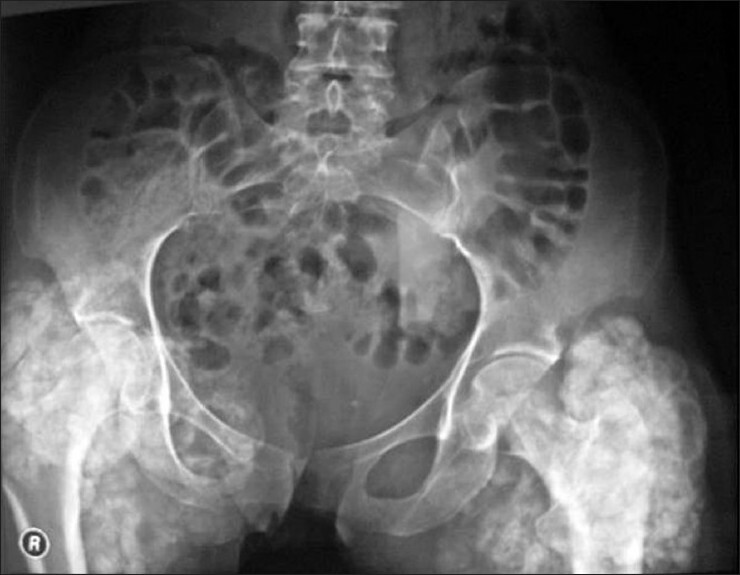 Tumoral calcinosis is an uncommon and benign condition characterized by the presence of large calcific soft tissue deposits occurring predominantly in a periarticular location. 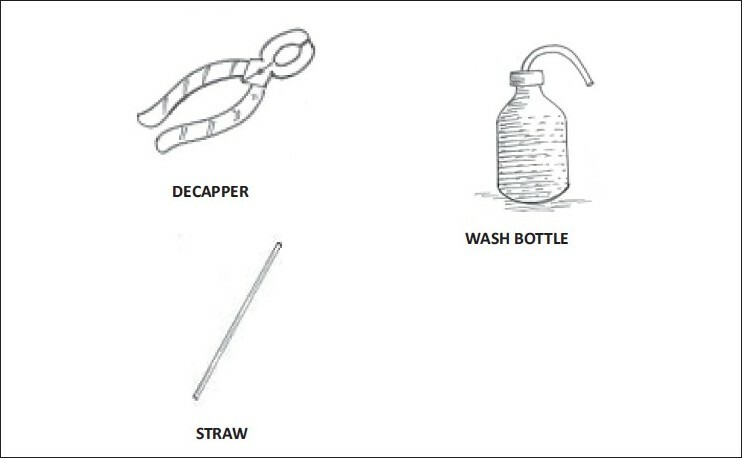 It generally occurs as a complication of renal dialysis or trauma, and is rarely seen in familial and sporadic cases. 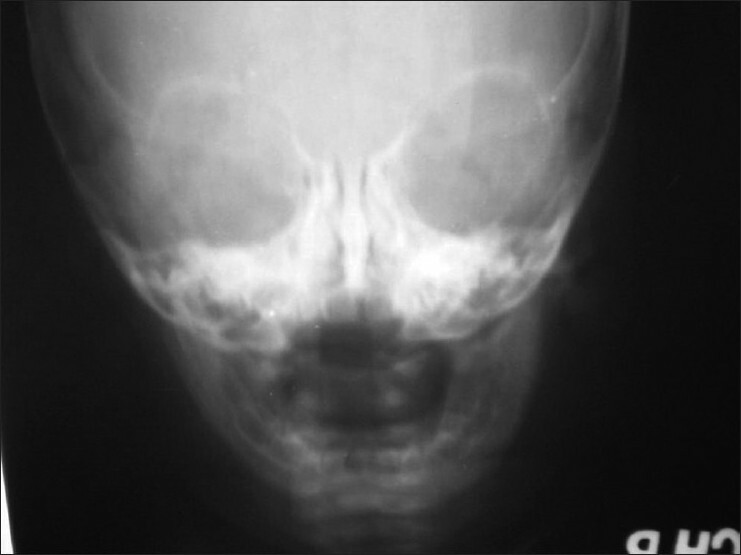 Bone scintigraphy is a sensitive method for diagnosing tumoral calcinosis. A 28-year-old female patient with a history of operation due to tumoral calcinosis located bilateral hips, referred to our department. 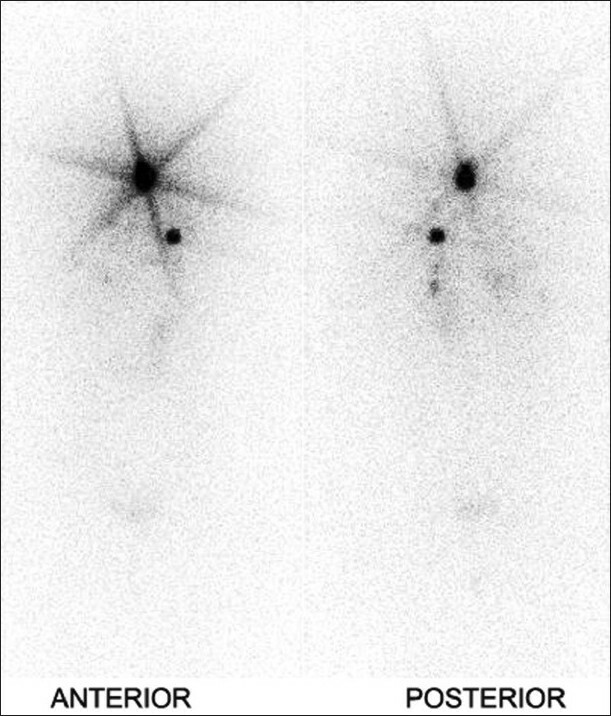 She had a tender palpable mass in the right knee and a fistulized incisional scar overlying the bilateral hip joints. A sporadic case of tumoral calcinosis with relapses was presented.